When I first started getting interested in blockchain and cryptocurrencies 8 months ago, I would watch the wild swings of the market on CoinMarketCap every day. When I noticed a particular coin moving sharply in one direction or the other, I would try and figure out why. The answer 9 times out of 10: heavy trading in South Korea. South Korea is responsible for 30% of all cryptocurrency trading, despite representing less than 1% of the world's population. When I decided to go on this crazy Asian cryptocurrency expedition, one of my goals was to go to South Korea to try and understand exactly what the hell was going over there. Well, two days after arriving in Seoul I somehow found myself taking shots of some type of clear Chinese liquor with Simon Seojoon Kim - CEO of Hashed - South Korea's largest cryptocurrency and blockchain investment fund. Simon, along with Hashed partners, Jinwoo Park and Alex Shin, were able to lay out for me exactly what makes South Korea the most active cryptocurrency market in the world. Simon was one of South Korea's earliest Ethereum investors and is a veteran of several startups. In 2017, he founded Hashed alongside a team of serial entrepreneurs and software engineers. To date, Hashed has invested in 30 early-stage blockchain projects and is accelerating 4 of them. Two of the projects in Hashed's accelerator program, Icon and Mediblock, are among the cryptocurrency top 100 with a combined market capitalization of over $3 Billion dollars. Basically, I couldn't have found more qualified people to break down exactly why cryptocurrencies are more popular in South Korea than anywhere else in the world. According to Simon and the Hashed guys, it comes down to culture, demographics, politics and a bit of timing. In America, people are still struggling to wrap their heads around Bitcoin and cryptocurrencies. People who have spent their lives investing in tangible assets like real estate or commodities have trouble fathoming that something intangible, existing purely in the digital world, could possibly be worth thousands of dollars. In South Korean culture, where people have valued digital goods long before Bitcoin came along, the idea that something existing strictly in cyberspace could be valuable was an easy concept to grasp. South Korea is a nation of 51 million people whose GDP ranks 12th in the world. Despite its modest population and economy when compared to countries like the United States and China, South Korea spends the 3rd most of any country on purchases in the Google Play app store. In 2017, South Koreans spent over $3 billion dollars in Google's app store on digital goods - character avatars, digital gifts and application upgrades. On a game called Lineage, which is a multiplayer RPG similar to World of Warcraft, players spend up to $1,000 for limited edition digital swords and axes. Since Koreans already had no trouble assigning high values to digital goods and were comfortable with purchasing them, buying cryptocurrencies wasn't a radical departure from their existing spending habits. Another element of South Korean culture that attracted its population to cryptocurrencies is its love for gambling. Simon told me that when Korean families gather for the holidays, it is common for the entire family to gamble together over various card games. Despite gambling's prevalence in South Korea, it was made illegal by the government a long time ago. Typically, when governments ban something that people enjoy, they find a way to do it anyway. When the cryptocurrency market came along, people observed the wild fluctuations and fortunes being made and viewed it as a virtual casino that the government hadn't outlawed. Alex Shin, who heads Hashed's San Francisco operations, cited South Korea's demographic composition as a big reason for cryptocurrencies' explosion in popularity. 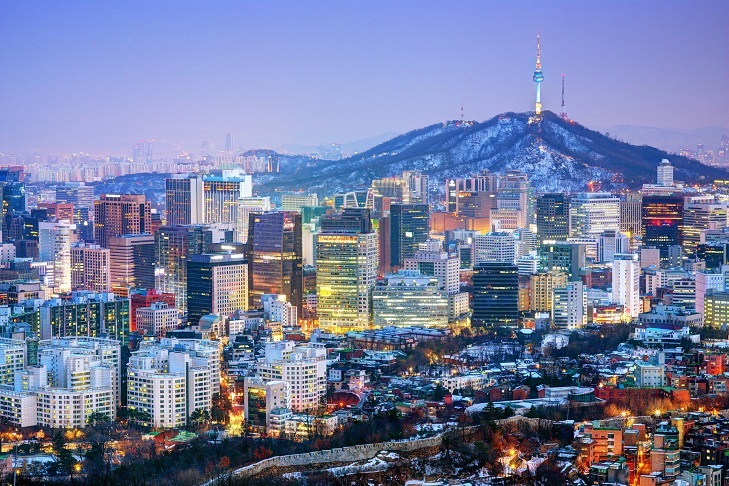 Roughly half of South Korea's 51 million people live in the capital city of Seoul. Seoul has twice the population density of New York City and 4 times that of Los Angeles. 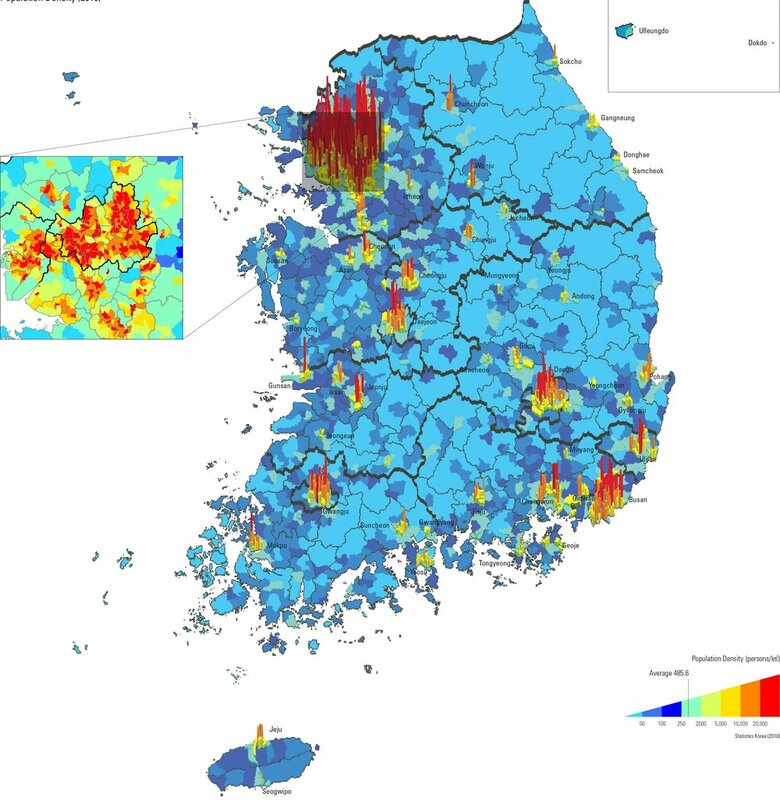 South Korea has the fastest internet connection in the world with 93% of its population online and hyper-connected through social media. When you have millions of people living in a densely packed metropolitan city who are in constant communication, word travels fast. South Koreans didn't have access to purchasing Bitcoin when it started its ascent in 2012. When Ethereum broke through $1 USD in early January 2016, South Korea had a number of exchanges operational and people saw it as the opportunity to invest in "the next Bitcoin". When the price of one Ether climbed from $1 to over $40 in the first 4 months of 2016, word of the 4000% returns spread like wildfire, and everybody and their grandmother went on an Ether spending spree. Word of the massive gains to be made investing in the altcoins like Ripple, Litecoin, Monero continued to dominate South Korean social media throughout 2017. In the United States, less than 1% of the entire population owns cryptocurrency in any form. According to recent polls, 30% of salaried workers in South Korea own cryptocurrencies, while Simon estimates that the real figure is closer to 50%. This does not include retirees who have also invested significant amounts. In the United States, cryptocurrency adoption is still somewhat confined to a small percentage of the millennial generation. Simon said that in South Korea, awareness of cryptocurrencies is practically ubiquitous and it's not uncommon to overhear grandmothers at a cafe discussing their altcoin portfolios. The cultural and demographic ingredients were in place to fuel South Korea's crypto explosion. However, something as speculative as the cryptocurrency market is not something the government here would typically embrace. After all, they banned their citizens from gambling out of concern for the corrosive effect it could have on the Korean people. So when speculative fever hit South Korea in early 2016, why didn't the government step in and try to control it? Turns out, at the time, they were preoccupied with a political scandal that would end with the impeachment of their president. The impeachment of President Park Geun-Hye that stemmed from her relationship with a shadowy figure named Choi Soonsil is a fascinatingly bizarre story. Park Geun-Hye was the daughter of a powerful military commander and politician. After her mother and father were each assassinated, Choi Tae-min - the leader of a cult like organization called The Church of Eternal Life, took her in. Choi told Park he could communicate with her deceased parents and gained a great deal of influence over the young future president. He used her status as a member of the South Korean elite to garner political favors. After Choi died, his daughter, Choon Soonsil stepped in as Park's main confidant and manipulator. The media eventually got wind of how much influence Choi Soonsil had over President Park. It was revealed that Soonsil was editing most of Park's speeches and briefing Park's cabinet despite having no official government title. Furthermore, the ties to her father's shamanistic cult made the Korean people very uneasy. Choi Soonsil would eventually be indicted for using her relationship with Park to get large companies to donate over $70 million dollars to non-profit foundations that Choi controlled. 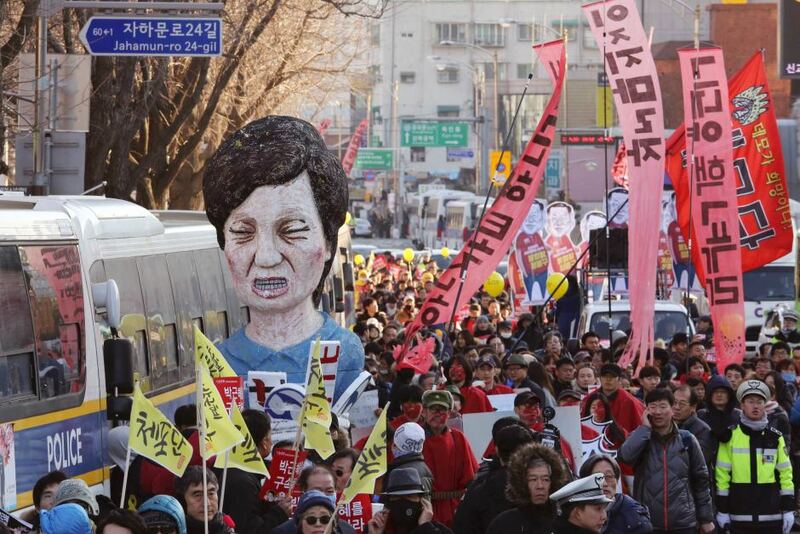 By October 2015, the Korean people had enough and took to the streets in massive numbers calling for President Park's impeachment. The protests raged on from October 2015 until Park was removed from power in March of 2016. During this time, the price of Ethereum went from under $1 to over $10 USD and word was spreading fast around Seoul. It's hard to say what exactly the government would have done had they not been embroiled in scandal, but it is likely they would have imposed some sort of restrictions - either an all out ban or an imposed limit on the amount of cryptocurrency someone could buy at one time. Unlike Coinbase, America's biggest exchange where individuals can only purchase cryptocurrency in $10,000 intervals, the Korean exchanges had no such limit. As a result, the average wealthy Korean was purchasing in $100,000-$500,000 intervals. When others got wind of how profitable these investments were, it became common for people to mortgage their homes in order to get in on the action. To sum it all up, a tech savvy nation that highly valued digital goods and also had a penchant for gambling without a viable outlet was naturally drawn to cryptocurrencies. The densely packed and hyper-connected composition of Seoul allowed for word of the massive gains being made from cryptocurrency investments to spread rapidly throughout the population, creating a mania. The rise of cryptocurrency's popularity coincided with political turmoil that distracted the government from a situation that under normal circumstances, it would have tried to control. Once I understood how South Korea developed it's ravenous appetite for cryptocurrencies, I followed up with Simon at Hashed's office in Gangnam (yes, as in Gangnam Style) to discuss where he thought this was all going. After the dust settled and President Moon Jae-in was elected, the government took a look at the situation that transpired amidst its own chaos and didn't like what it saw - a nation heavily invested in an asset that the government didn't fully understand. At multiple stages throughout 2017, the government expressed skepticism and negative sentiment towards cryptocurrencies. When the South Korean Minister of Finance said during a radio interview in early 2018 that a ban on cryptocurrencies was "a live option," it sent the markets into a panic. In the following days, the market shed over $300 billion dollars in the sharpest correction in recent memory. After the comment, outraged South Koreans generated a presidential petition with 200,000 signatures urging the government not to move forward with a ban. The government eventually backtracked, stating that there would be no bans but that regulations would be coming. On January 23rd, the governement announced that regulations would go into place effective January 30th. The government stated that it will put an end to "anonymous trading," meaning that only trading from accounts associated with legal South Korean citizens will be permitted. This will allow the government to tax gains while preventing minors and non-Koreans from trading cryptocurrencies on Korean exchanges. I asked Simon if he thought there was any possibility that the government would move forward with a ban in the future. He thinks that in the future, the government will be stewards of the crypto-economy as opposed to adversaries of it; his logic seems solid. Whether the government likes it or not, Korea is already heavily invested in cryptocurrencies and there's nothing anyone can do to change that. It's also impossible to ignore the fact that Koreans have prospered more from the cryptocurrency boom than any other nation in the world. At the same time, given their level of exposure, they would be disproportionately affected by a major market downturn. Basically, the only thing the government can do is support the growth of the cryptocurrency market because a healthy market is good for South Koreans. If America or China banned trading, only a small percentage of their populations would be affected. A Korean ban would create widespread panic and could cause systemic damage to the Korean economy. Not to mention that South Korea is a democracy, so any politician that takes an anti-cryptocurrency stance is likely to find themselves without a job come election time. With a future ban on cryptocurrency trading unlikely, I asked Simon what he thought we should expect from blockchain and cryptocurrencies in the coming years within South Korea and beyond. Simon is optimistic about the future of blockchain and cryptocurrencies because he sees them as a means of bringing about a more equitable society. He explained that the current corporate structure creates a divide between corporations, shareholders and customers. Corporations are required to maximize the profits of their shareholders, often at the expense of their customers. Only a small percentage of people get to be shareholders. By the time corporations issue shares to the public they're already billion dollar companies so most of the value has been created. In a distributed and tokenized economy, the average person can participate in value creation from the onset by participating in an ICO (Initial Coin Offerings are a way of funding early stage blockchain projects that are open to the public). In a decentralized economy, end users will have more ownership over the services and products they use and thus, share in the value they create. One of the major trends he sees coming is major corporations decentralizing themselves by moving to the blockchain and "tokenizing" their products and services with their own cryptocurrencies. Last year, all of the blockchain and cryptocurrency product pitches Simon heard were from startups. This year, he says that the majority are from large companies. It appears that corporations are starting to see the writing on the wall and are moving towards decentralization in order to avoid being replaced by a blockchain based competitor. One of the trends Simon foresees in the longer term sounds straight out of science fiction. "In the future, instead of working for companies, people will work for protocols." For example, instead of being a cab driver for Uber, people will drive for decentralized ride sharing protocols running on a blockchain, owned and maintained by a collective of tokenholders. Instead of paying a large cut of each ride to a centralized company, the passenger will pay a transaction fee to the miner whose computer executes the smart contract that enabled the ride to take place - the driver keeps a much larger cut of the fare. People who improve the overall network by contributing resources will be compensated in cryptocurrency based on the value they provide. South Korea has a unique set of characteristics and attributes that created the perfect environment for the embracement of cryptocurrencies as a vehicle for speculative investment. These same attributes make it highly likely that South Korea will be the first region to see widespread adoption of cryptocurrencies and blockchain as a technology. That begs the next question: will the rest of the world catch up? Simon pointed out the last technological trend that South Korea embraced well before the rest of the world: social media. The world's first major social network was South Korea's Cyworld, introduced in 1999 when Facebook was still a twinkle in Zuckerberg's eye. I'll end on an overly used quote that may or may not have been said by Mark Twain. "History doesn't repeat itself, but it often rhymes." Time will tell.